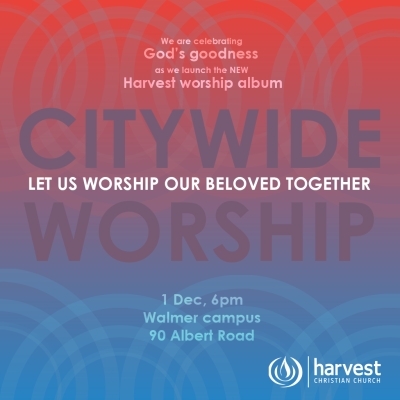 On Saturday December 1 Harvest Christian Church, Port Elizabeth, renowned for its worship ministry and musical heritage, will be launching its debut worship album. The album is made up of original songs, all written, arranged, and played by Harvest church members. The album title track is called Beloved, which is based on the scripture “I am my beloved’s and my beloved is mine.” — Song of Solomons 6:3. The album was recorded in PE at SABC Studios and produced in the UK by Henry Marsden, well-known international Christian record producer. The album will be available for sale at Harvest Christian Church Walmer campus, as well as through iTunes and Googleplay. at Harvest Walmer campus (Albert Rd Walmer) on Sat December from 6pm to 8pm.